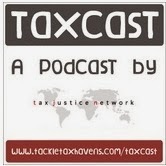 The September 2013 Taxcast is available here for listeners. And what do Tina Turner and Muammar Gadaffi have in common? Produced by @Naomi_Fowler for the Tax Justice Network.